Tquila ANZ a Winner in the 2017 CRN Fast50! The Tquila team celebrated an awesome debut at the 2017 CRN Fast50 last Thursday! Ranking #31 in the top 50 fastest growing tech-firms in Australia, and winning the CRN Fast50 Honours - Editor's Award! "Every year the CRN Fast50 gets more competitive. This is the ninth year of the awards since we launched the program back in 2009, and it was the fastest year yet. The average growth rate was 85.9 percent! It was an incredible achievement by all of the companies that secured a place in the 2017 CRN Fast50. "This year included a diverse mix of technology companies of all shapes and sizes, from all corners of Australia. We had IT providers specialising in networking, in security, in public cloud. We celebrated tech firms that have developed their own intellectual property and those that have partnered with new and interesting vendors. Services continue to be a central focus, both professional services and managed services. "I was extremely impressed by the focus on culture. 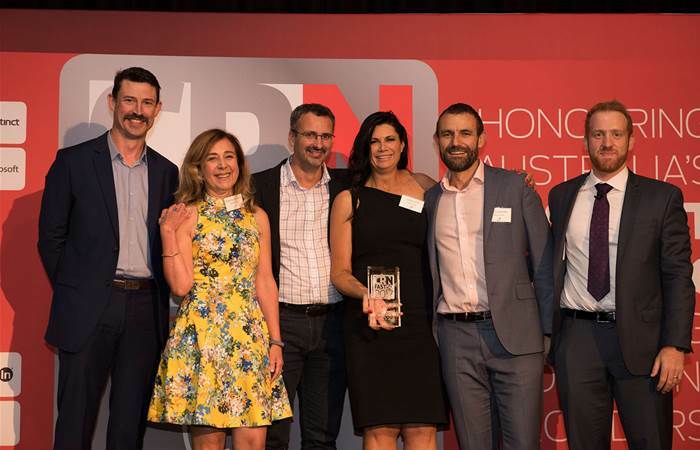 In a sector where the battle for talent is ever-present, the CRN Fast50 have proved they can attract the best people to their teams to deliver outstanding results for customers." The team accepting their Editor's Award! The Editor's Award is given to one Fast50 company for exceptional impact on the channel in 2016 and throughout its history, based on aspects such as performance, projects and profile, as decided by a panel of senior editorial staff. We are so proud to have won this award and been a finalist in the Fast50, as these successes are a direct result of all the hard work, commitment, passion, dedication and creativity that goes into each and every project Tquila delivers to our customers! And, this is only the start as we continue to grow from strength to strength! To see and read more about the CRN Fast50, check out their dedicated microsite here.